Chikungunya, a tropical disease with a funny name that packs a wallop like having your bones crushed, has finally taken up residence in the United States. Ever since the first local transmission of chikungunya was reported in the Americas late last year, health officials have been bracing for the arrival of the debilitating, mosquito-borne virus in the United States. Just seven months after the first cases were found in the Caribbean, the Centers for Disease Control and Prevention reported the first locally acquired case of this disease in Florida. Even though chikungunya is not on the National Notifiable Diseases Surveillance System list, 31 states and two U.S. territories have reported cases of the disease since the beginning of the year. But only Puerto Rico and the U.S. Virgin Islands reported locally acquired cases. All the other cases were travelers who were infected in countries where the virus was endemic and were diagnosed upon returning to the United States. The virus is not deadly, but it can be extremely painful, with symptoms lasting for weeks. Those with weak immune systems, such as the elderly, are more likely to suffer from the virus' side effects than those who are healthier. About 60% to 90% of those infected will have symptoms, says Nasci. Infected people will often have severe joint pain, particularly in their hands and feet, and can also quickly get very high fevers. This disease was originally identified in East Africa in the 1950s. Then about 10 years ago, chikungunya spread to the Indian Ocean and India, and a few years later an outbreak in northern Italy sickened about 200 people. Now at least 74 countries plus the United States are reporting local transmission of the virus. 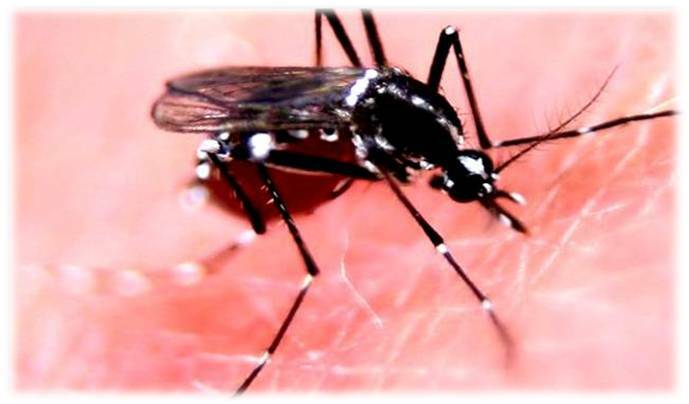 Unlike most mosquitoes that breed and prosper outside from dusk to dawn, this viral disease is most often spread to people by Aedes aegypti and Aedes albopictus mosquitoes, which are most active during the day, which makes it difficult to use the same chemical mosquito control measures. Use bug spray if you are going out, especially in tropical or wooded areas near water. Get rid of standing water in empty plastic pools, flower pots, pet dishes and gutters to eliminate mosquito breeding grounds.